Matching to RAL, Pantone and British Standard Colours delivers a strong and accurate match on colour. Colour precision is fundamental to brand representation and reinforcement, it can reflect a mood or a trend and make a product truly memorable. Our colour reference library contains over 50,000 colours matched previously for customers and we have the capability to match your existing articles, colour swatches or indeed anything at all! 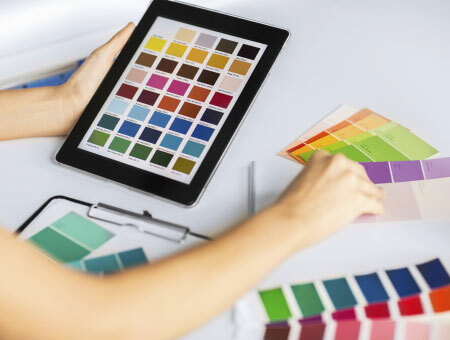 Colour matching at Eclipse is a technical process using state of the art computerised colour matching equipment to ensure un-paralleled accuracy in the colour matches we produce for customers. Colour plaques are provided for approval along with a sample of masterbatch if required. 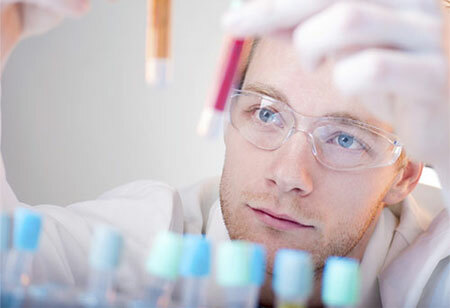 We operate a FASTmatch system ensuring your colour match request leaves our Laboratory on time and right first time. Masterbatch can be about so much more than ‘just’ colour though. Take a look at some of the amazing qualities that Eclipse can add to your product to give you a one-stop solution for colour and functionality. Masterbatches in any quantity upwards of 5kgs, are manufactured to extremely tight tolerances for low % dosage to a wide range of polymers. Processing is precise and strictly controlled to ensure seamless production of your colour from batch to batch, month to month and year to year. We offer consistent pellets sizes from a 1mm micropellet through to a large 4mm maxipellet. Your colour pellets can be precisely controlled in terms of size and geometry to ensure a perfect fit with your dosing methods…….a truly bespoke service. Endless choices….! Decisions, Decisions! Any colour can be matched and a high strength, low dosage colour masterbatch produced. We’ve got it covered! When one masterbatch for a number of different polymers is needed, look no further than our high strength, low dosage Universal Colour Masterbatch. One is the loneliest……. When you require a specific masterbatch for a specific polymer try our high strength, low dosage Polymer Specific Masterbatch. All things to all………….? Colour and Additives can be combined in one single high strength, low dosage masterbatch to impart colour and differing properties to your product. Metallic and Pearlescent additives will enhance both the colour and appearance of your products. Compound interest! Small lot compounds can be colour matched and produced in lots sizes of 50kgs upwards. These compounds can also contain an additive package if required. Too hot to handle….? Masterbatch designed to reflect heat can be colour matched to any shade…..two benefits in one high strength, low dosage Masterbatch. C’mon Baby Light My Fire…….! Masterbatch containing flame retardants can be colour matched and produced to strict tolerances in one single high strength, low dosage masterbatch. Small Pellet, Mighty Effect! Our MicroPellet Masterbatch small pellets deliver high colour strength and superior dispersion in our low dosage 1mm MicroPellets. Blank Canvas…….? We produce a large range of Additive Masterbatches to impart UV stability, UV Absorption, Anti-Microbial, Anti-Bacterial, Anti-Static, Anti-Block, Slip, Mould Release, Antioxidant and Anti-Slip properties to your products. Cleanliness is next to…..? Our Antimicrobial Masterbatch provides the high levels of protection required to meet strict hygiene standards. Levels can be specified to provide efficacy to a specific or full life span for your products. Clear cut decision…back or white? Our range of Black and White Masterbatches are designed as high strength, low dosage masterbatch, great at colouring virgin polymer or regrind jazz alike. Show your mettle! Looking like a wide range of metals, with the qualities of plastic, products produced from these masterbatches out shine others. Levels of sparkle and gloss can be controlled to provide cost effective reproduction of metallic visual qualities in your plastic products. All that glitters…… Containing our Glitter Masterbatches, transparent and solid materials alike look fantastic in a wide variety of golds, silvers, colours, and holographic foils. A glowing success! Charged up during the day and glowing brightly at night, our range of photo luminescent masterbatches provide specific levels of glow over specified lengths of time. The mother of all pearls….. Providing a mother of pearl like effect our Pearlescent Masterbatches add lustre, brightness and improve the natural appearance of your articles. Now you see me……. Altering the Infra-Red Reflectance of your products can be attained by using our range of Camouflage IR Masterbatches. Products produced are invisible to infra-red detection. Spot the difference. Create a translucent, opaque look to your material while allowing light to be transmitted through your products with our range of Light Reflective Masterbatch. The bright choice! Eye catching colours to enhance your products are produced using our wide range of Fluorescent Masterbatches making sure your products stand out from the crowd. Buy One, Get One Free. Produced using our Colour Shift Masterbatch, a single product appears two totally different colours from differing angles, adding value and quality to products. A clear winner. Highly dispersed, low dosage transparent masterbatch provides colour and clarity to your products. Hot or Cold? One colour when hot and another when cold, products manufactured using our Thermochromic Masterbatch change colour in specific temperature ranges, giving a visual indication of the temperature to which the article is being exposed to. See the wood from the trees. A natural look of grained wood can be produced in differing colours light and dark to mirror the effect of wood and nature. Rock Solid. Natural Stone and Granite can be imitated using our Granite / Stone Masterbatch. As in the natural world the effects can be quite different and unusual ensuring your products look completely natural. Cutting edge. Transparent base materials containing our Edge Glow Masterbatch appear clearly tinted on the main body and retain and complimentary neon glow on their edge. Science fact not fiction. A permanent, non-wearing mark can be produced on objects with awkward shape and size by the inclusion of our Laser Marking Masterbatch and the use of an appropriate laser. Different colours and effects can also be produced to provide a mark that will provide longevity and security to your product.